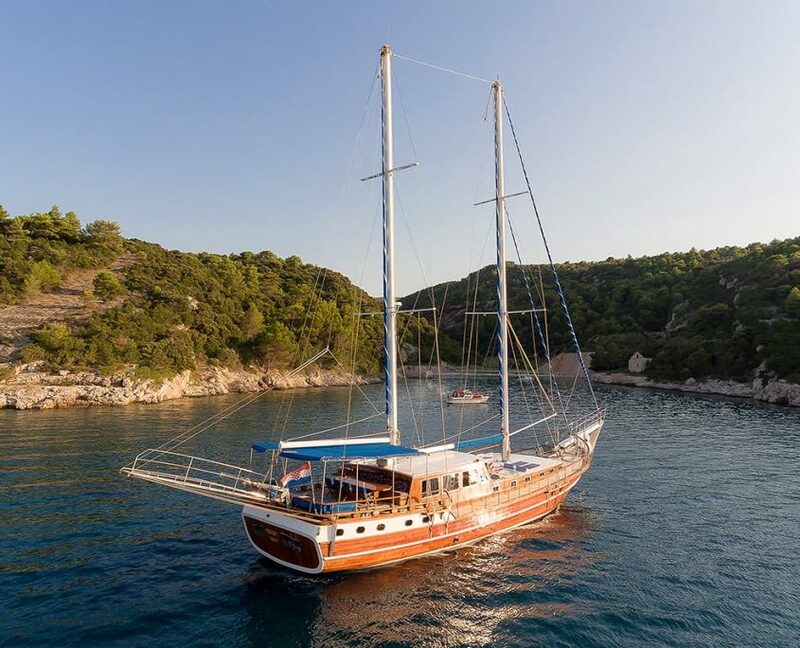 Have a question about Gulet Andi Star? 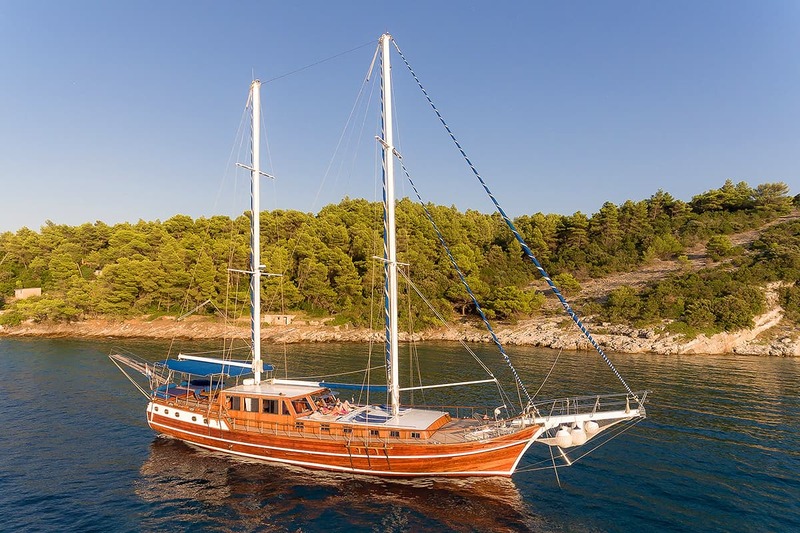 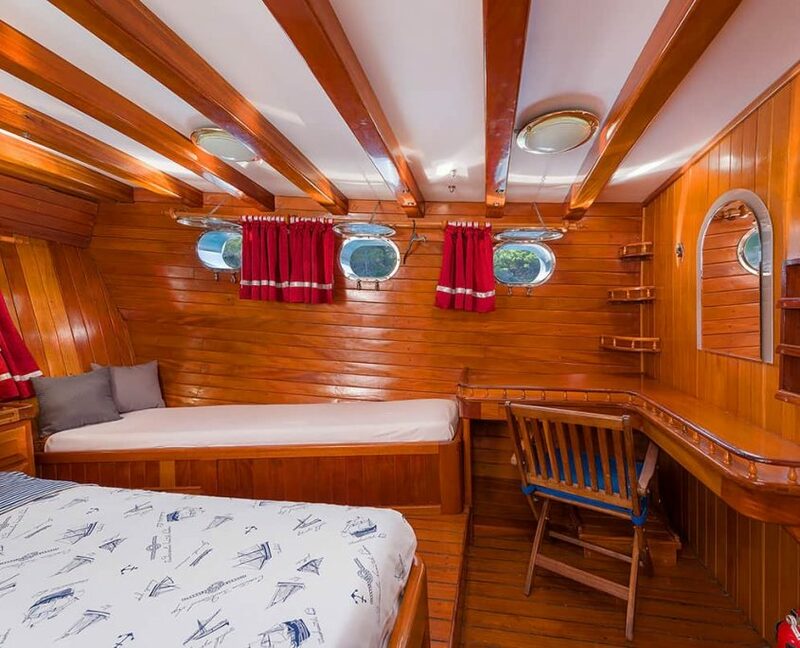 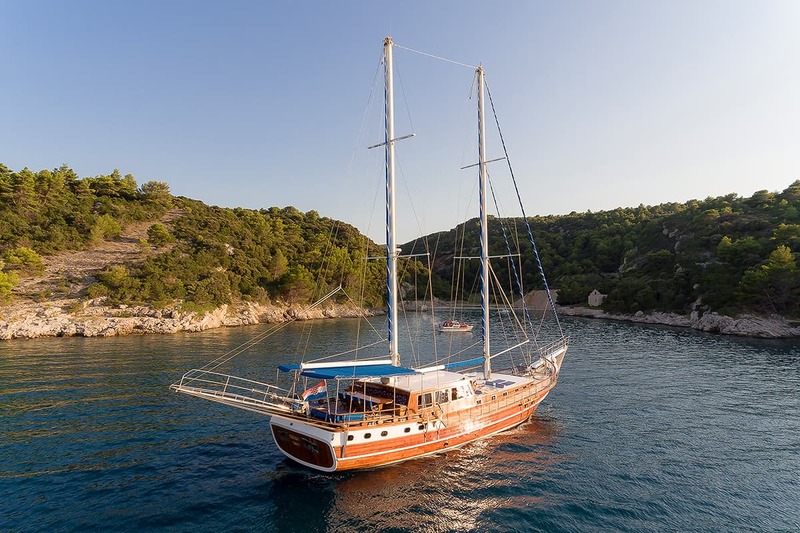 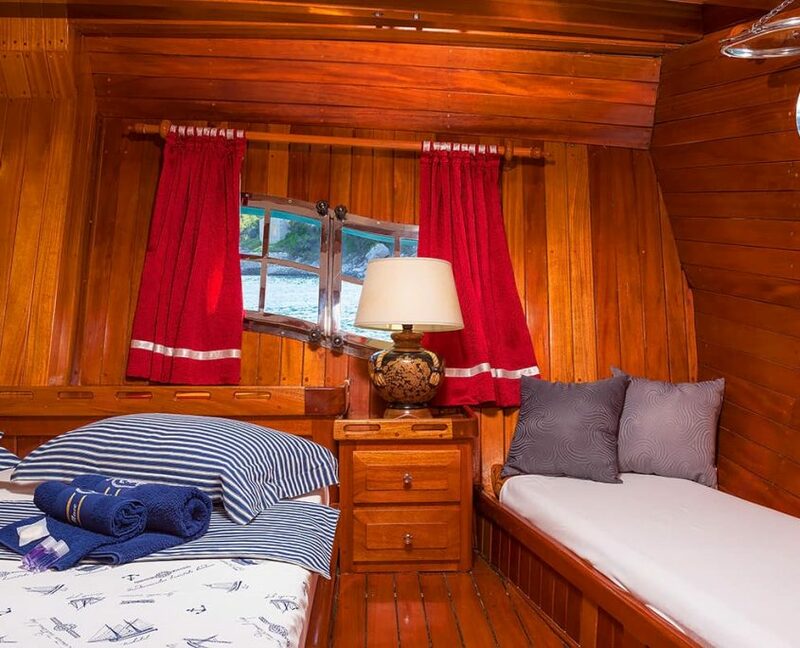 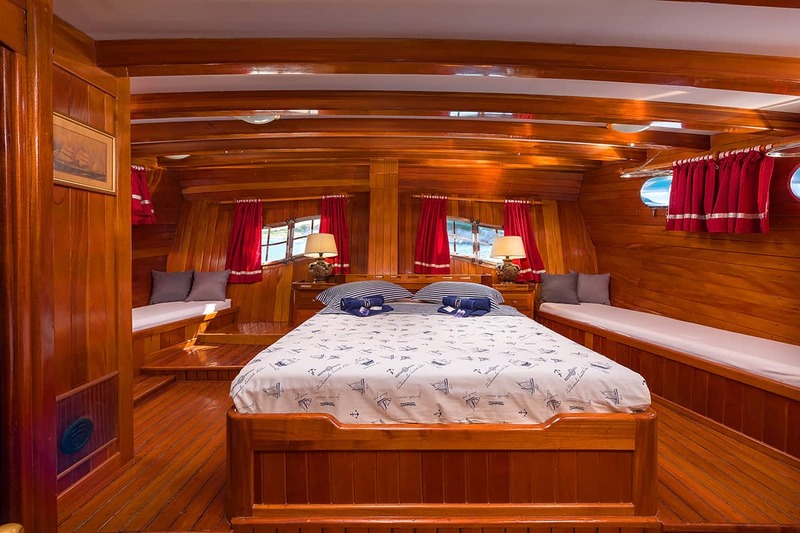 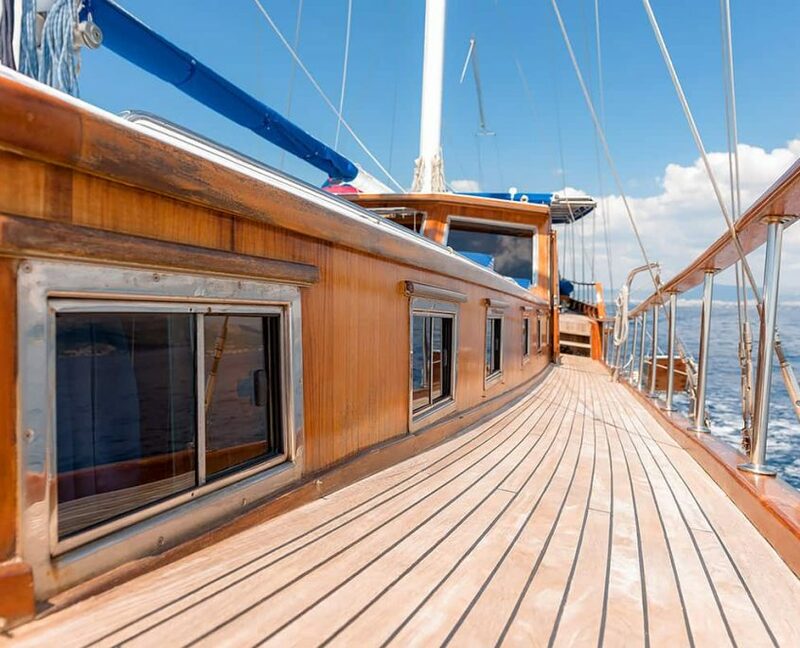 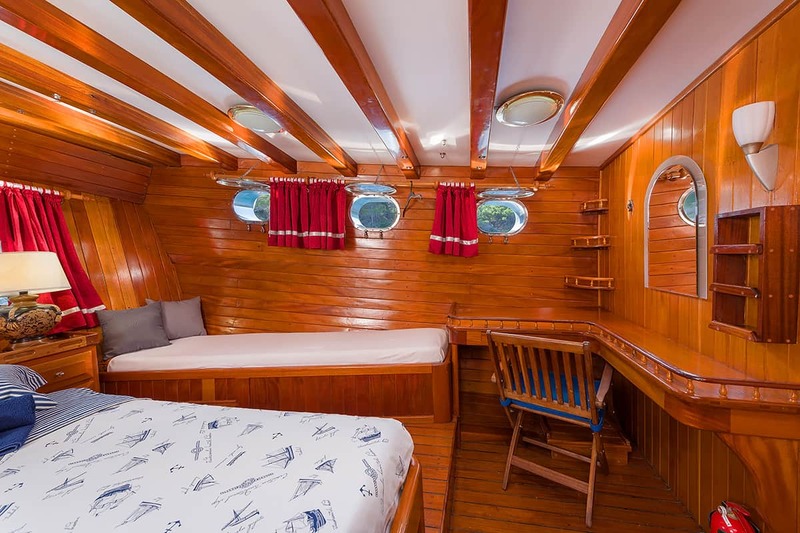 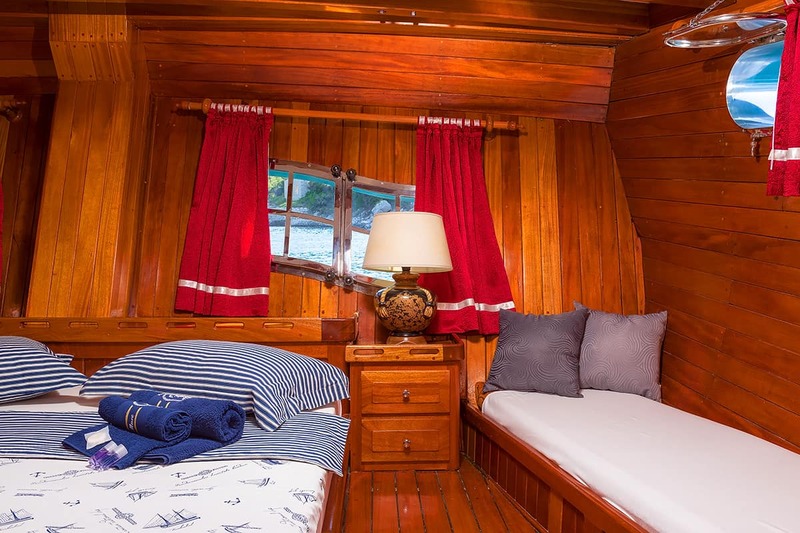 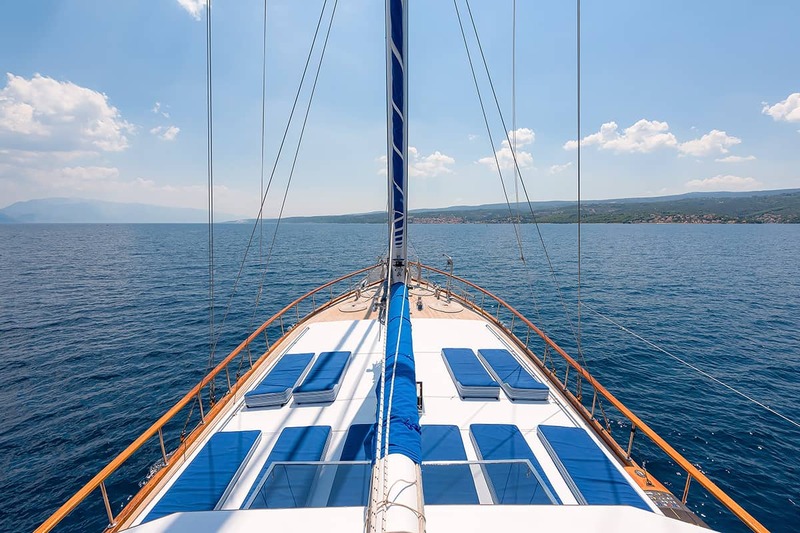 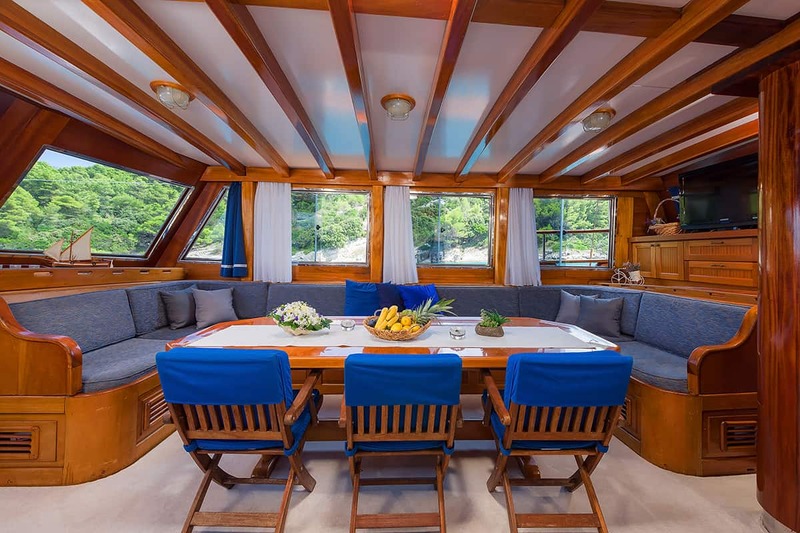 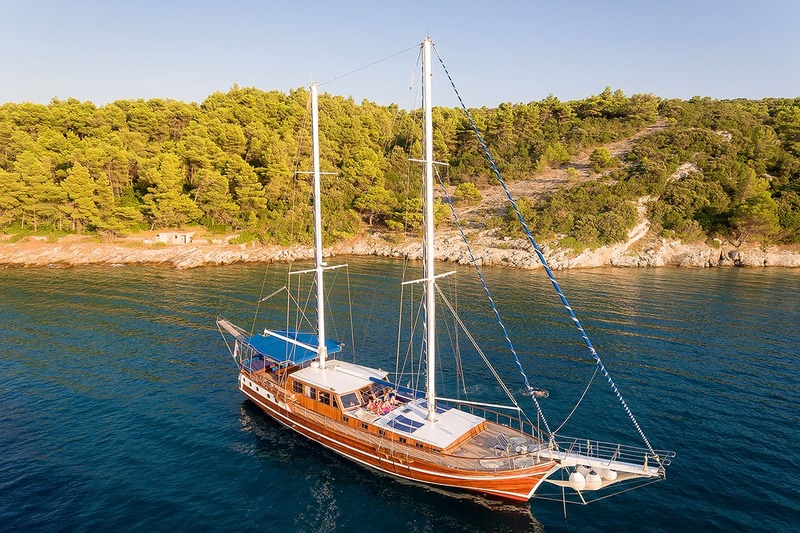 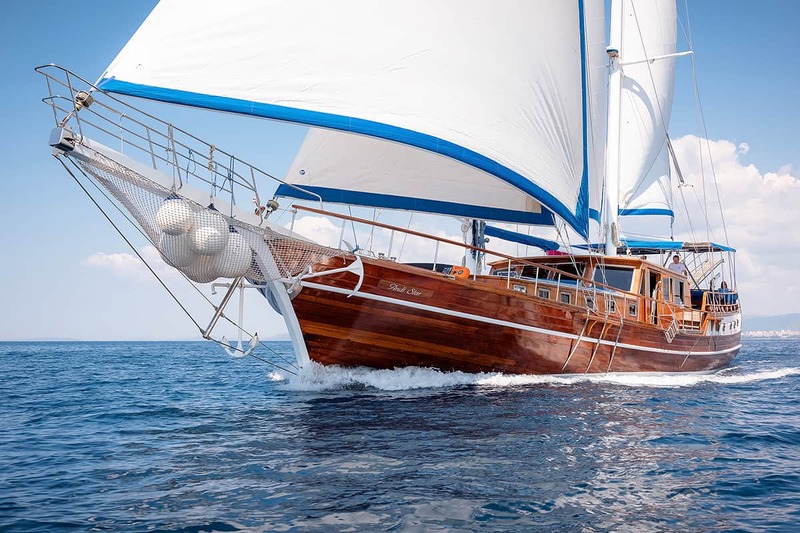 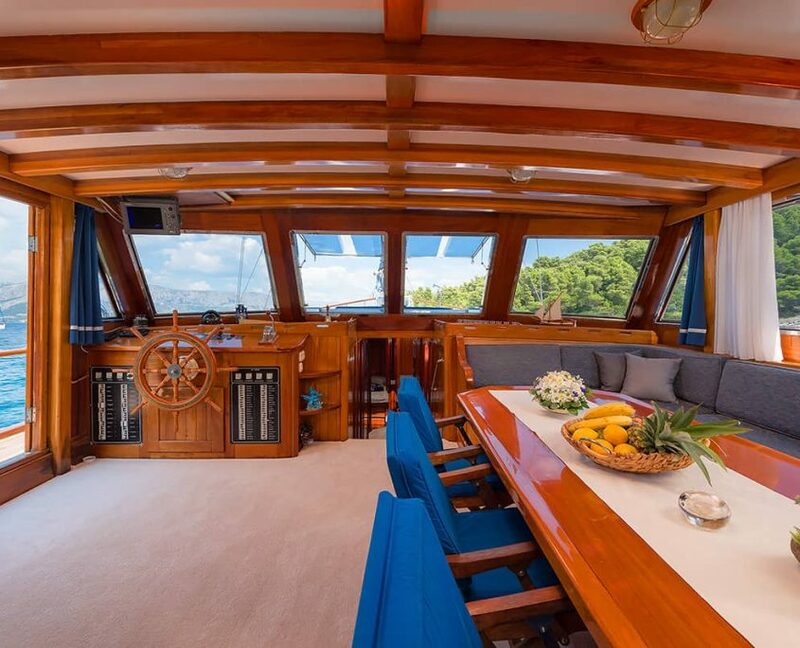 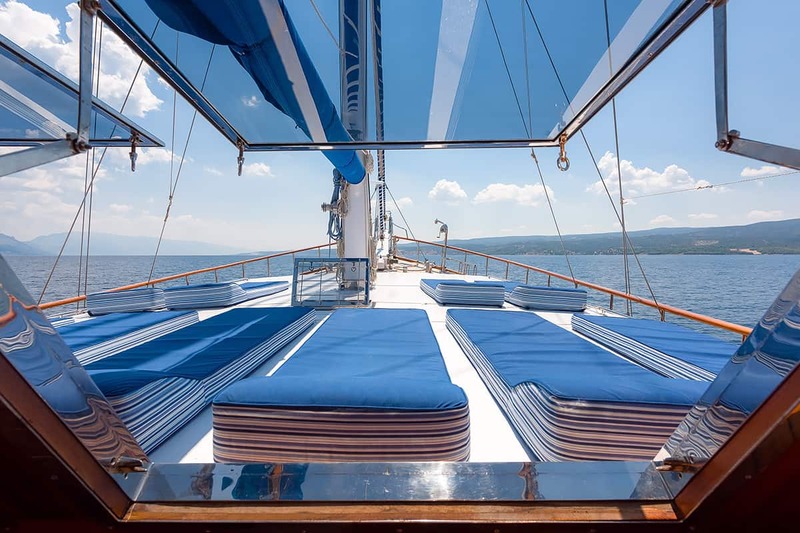 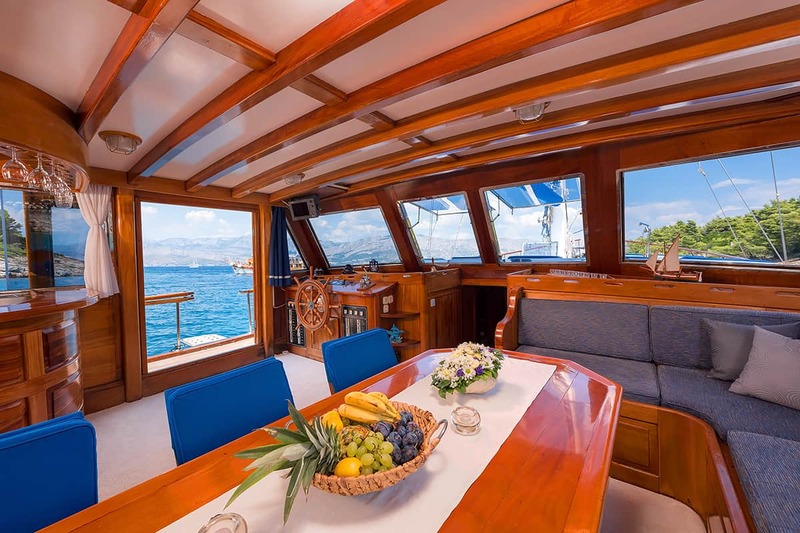 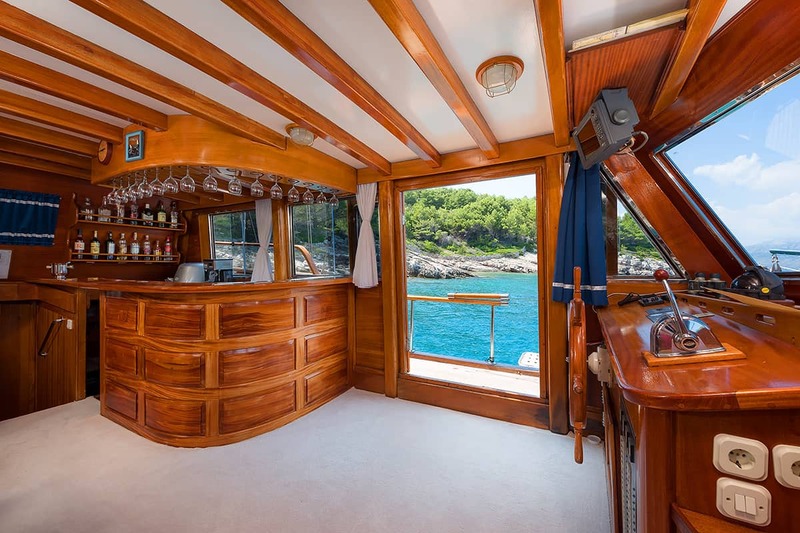 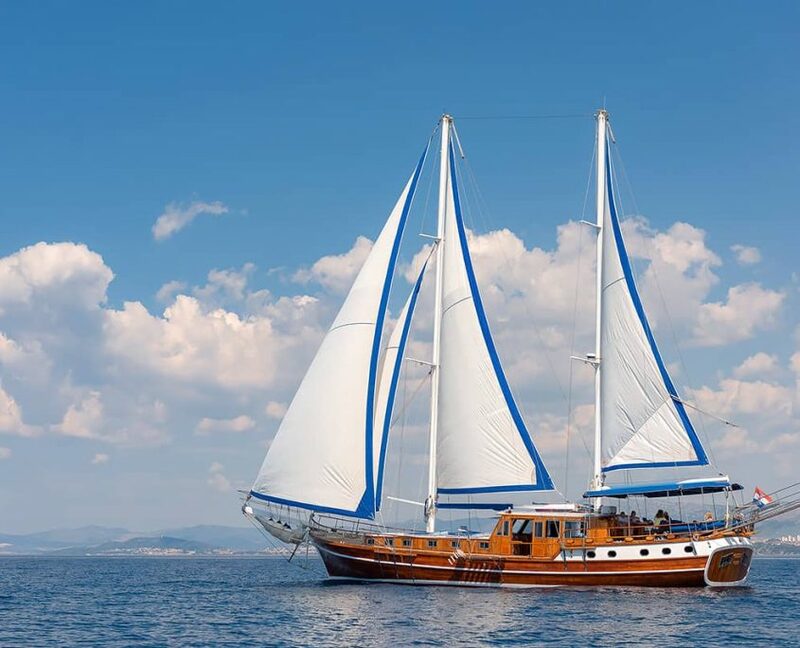 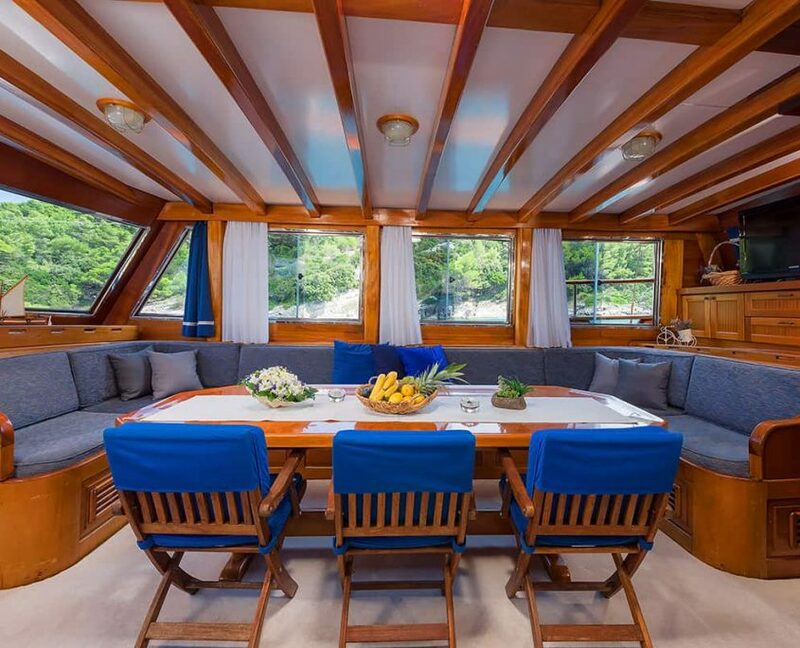 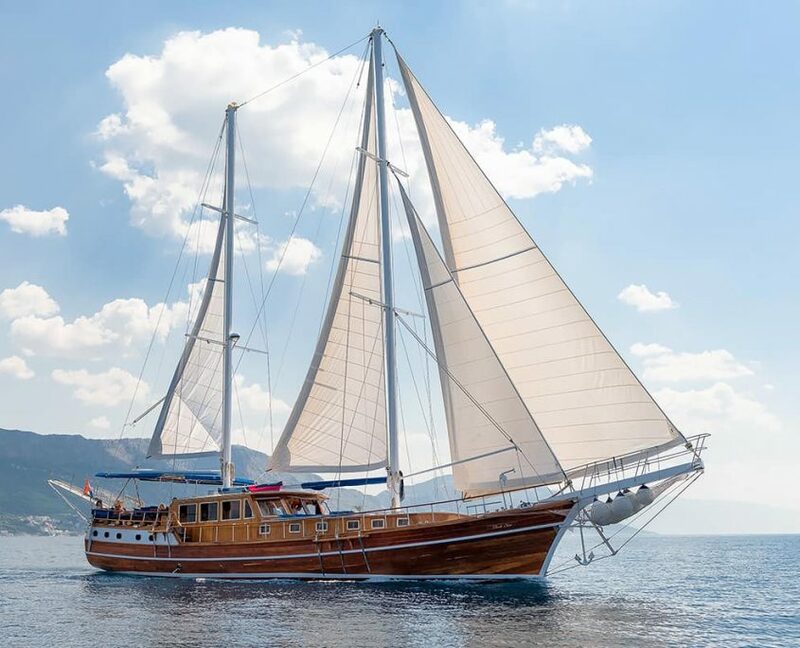 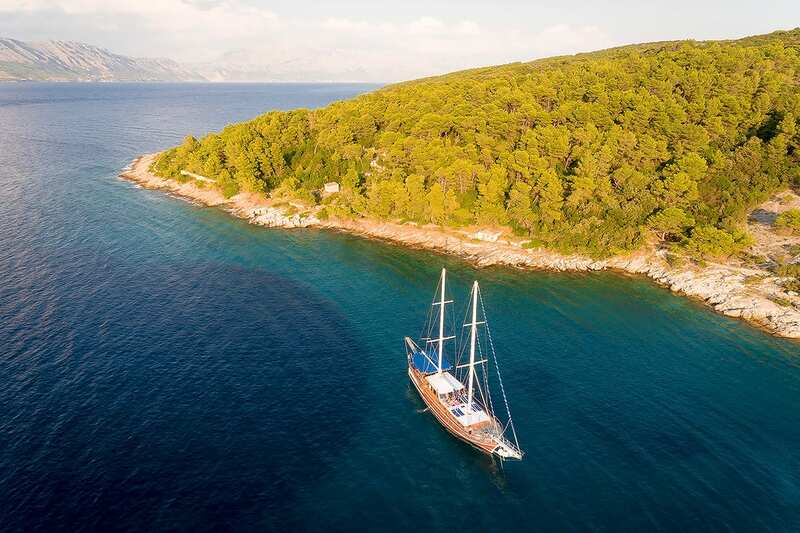 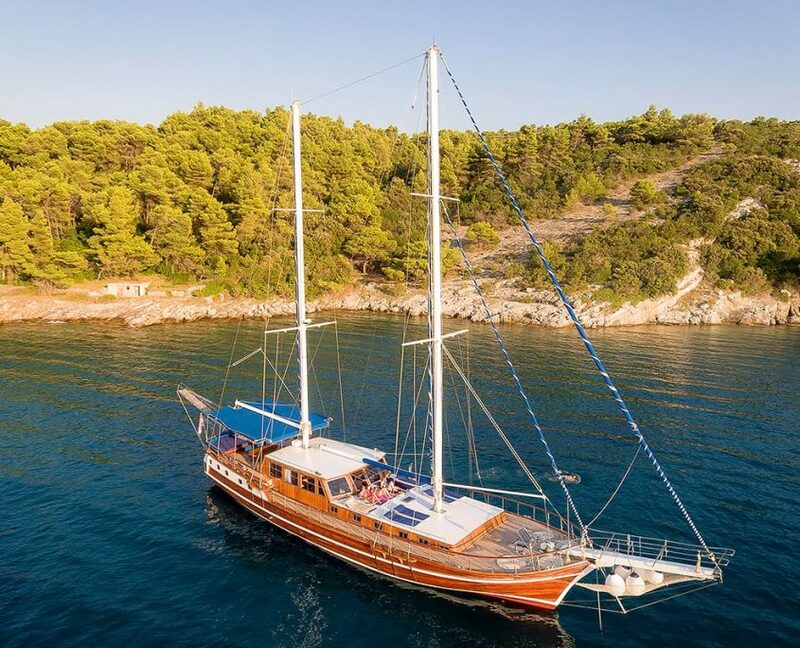 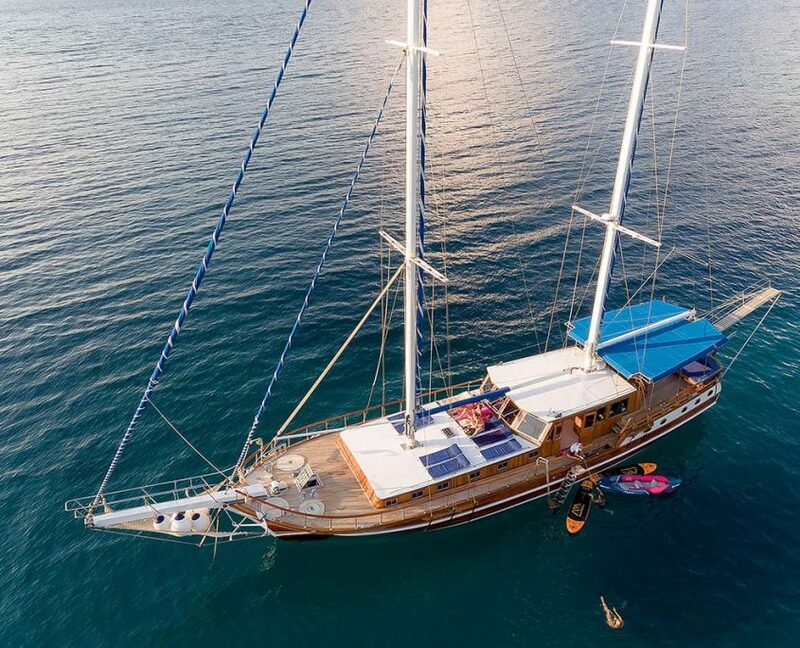 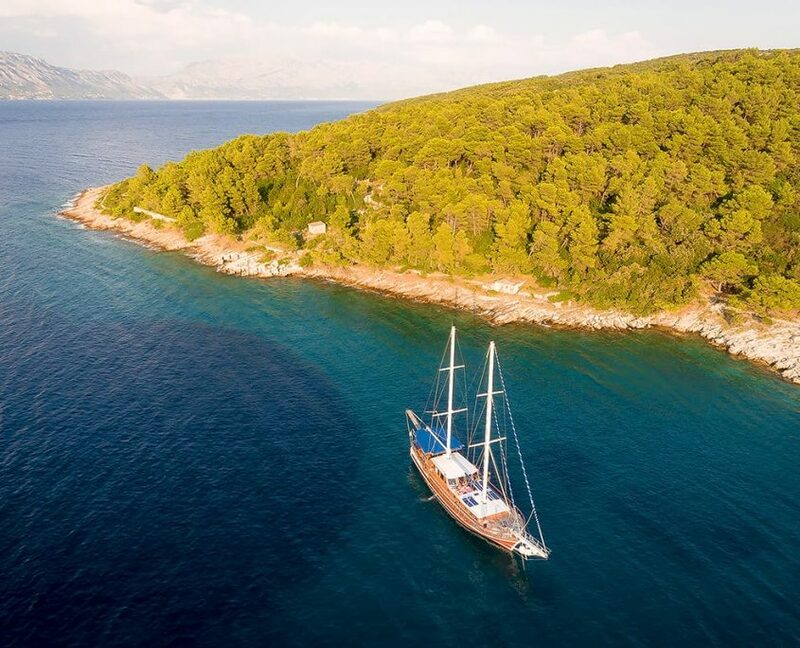 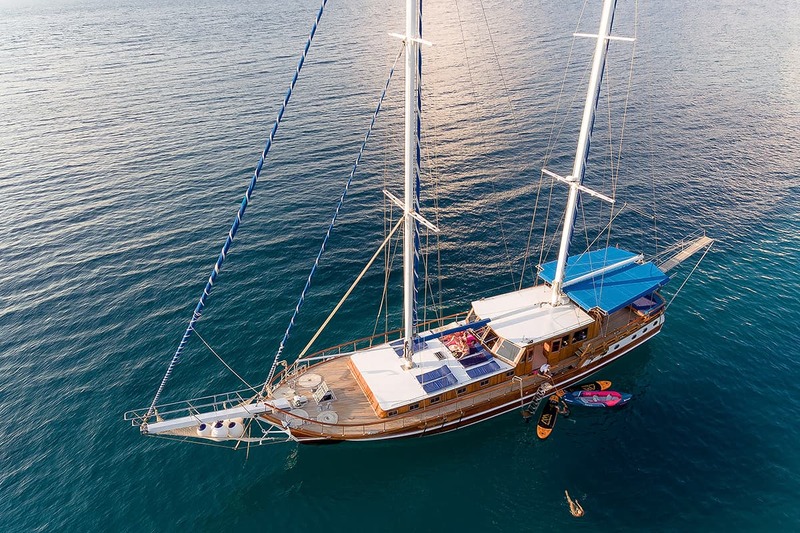 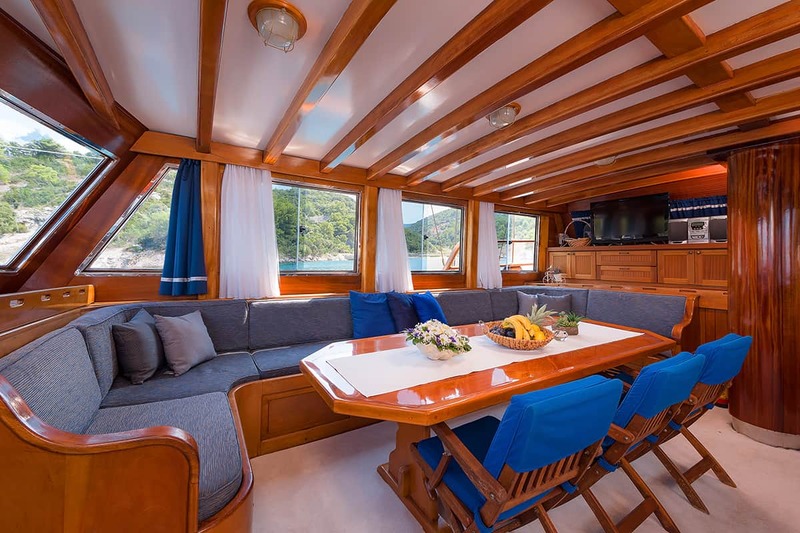 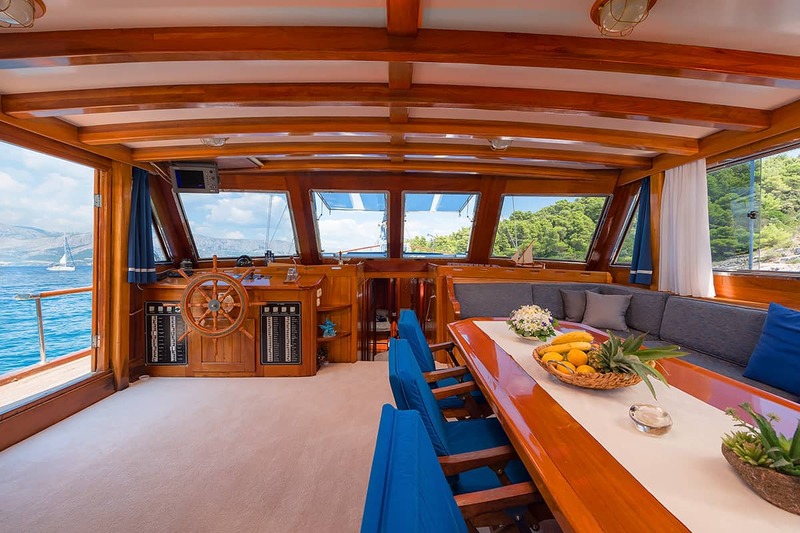 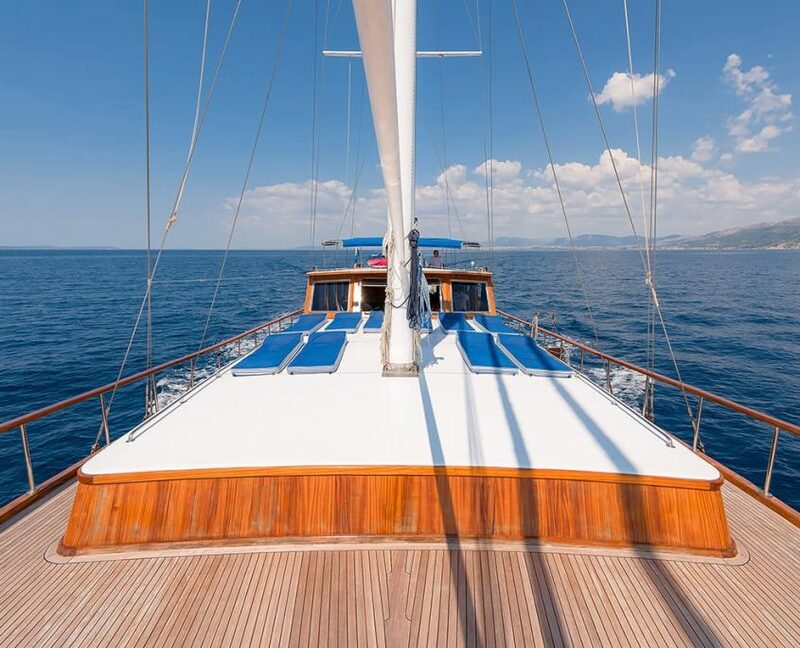 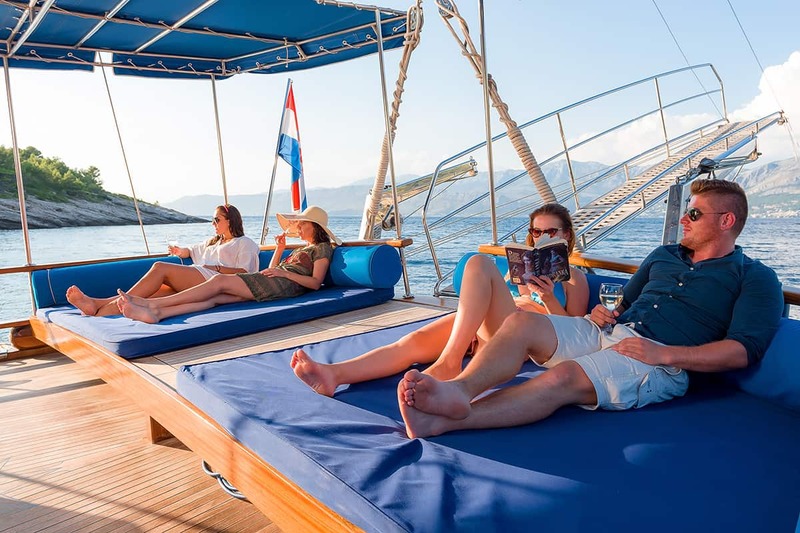 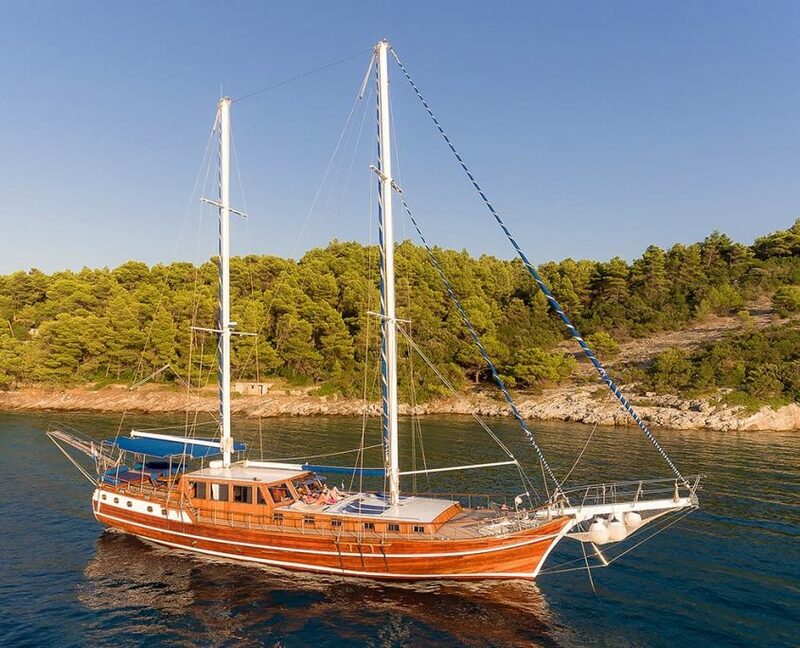 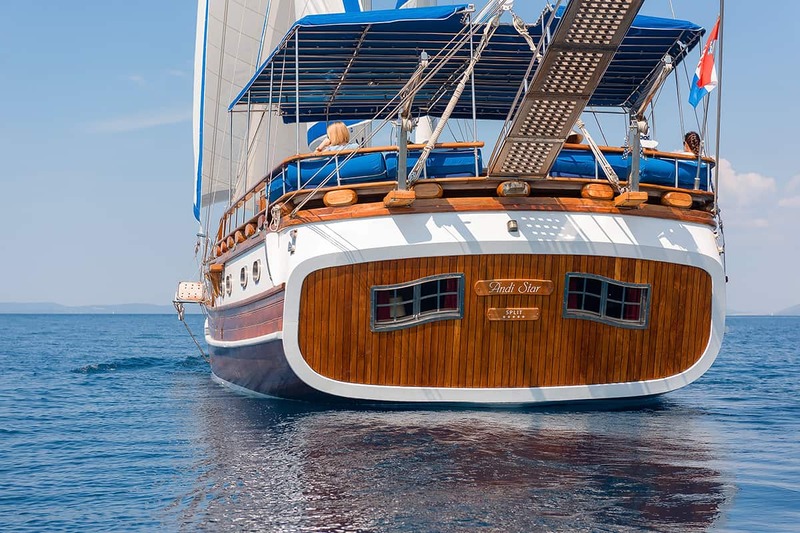 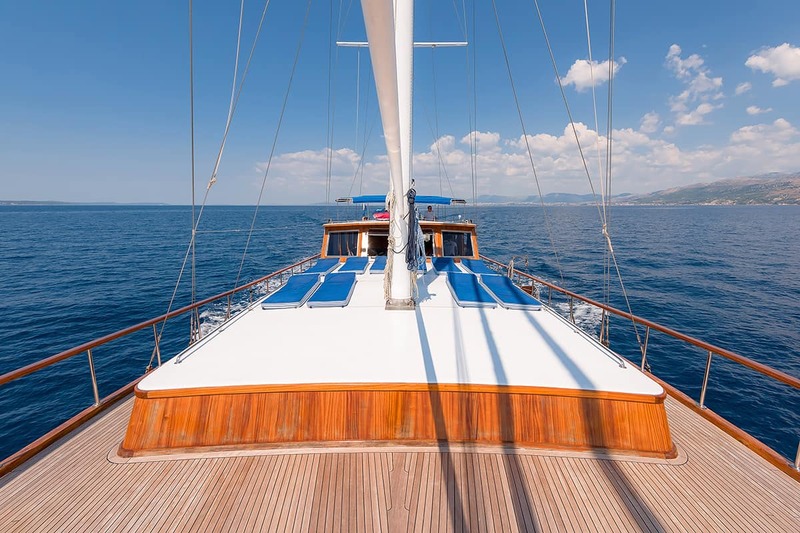 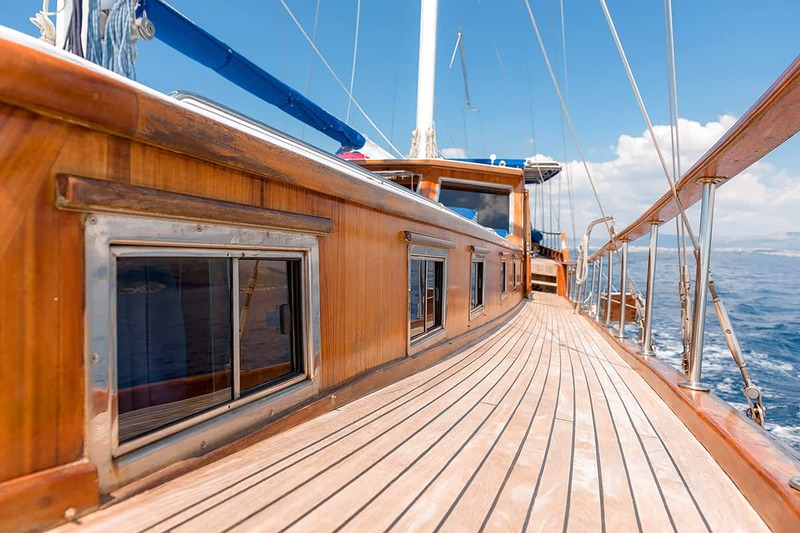 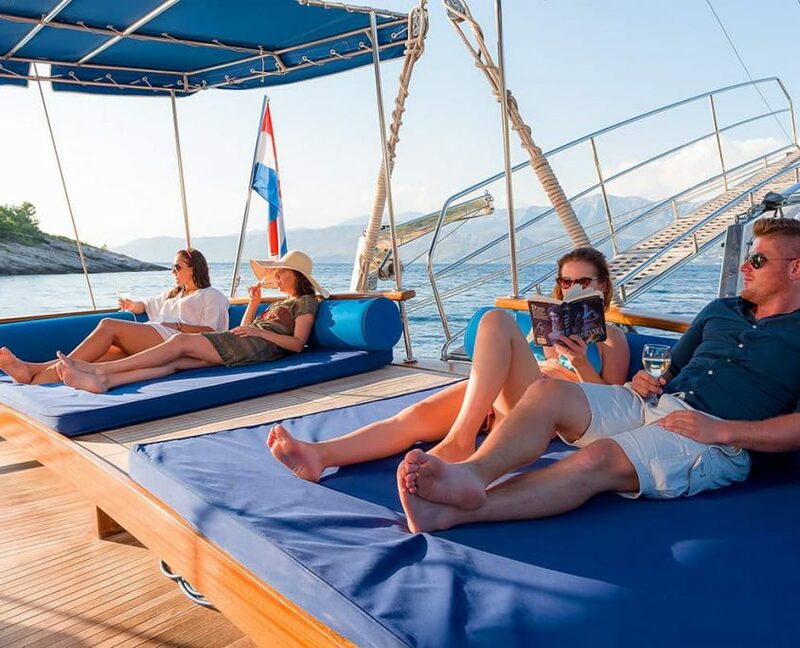 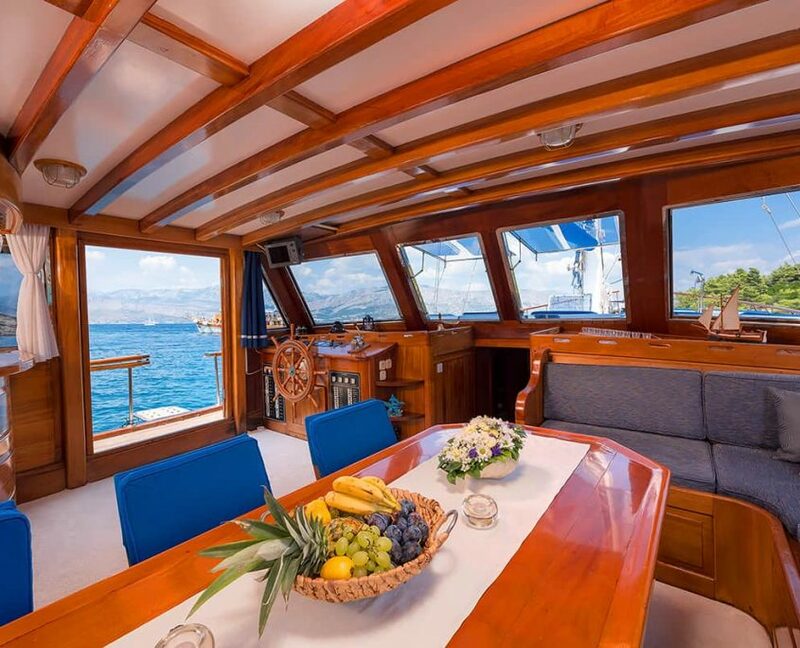 Gulet Andi Star is beautiful 5 cabins gulet, which can accommodate up to 14 guests and has one of the most spacious master cabins out of all gulets. 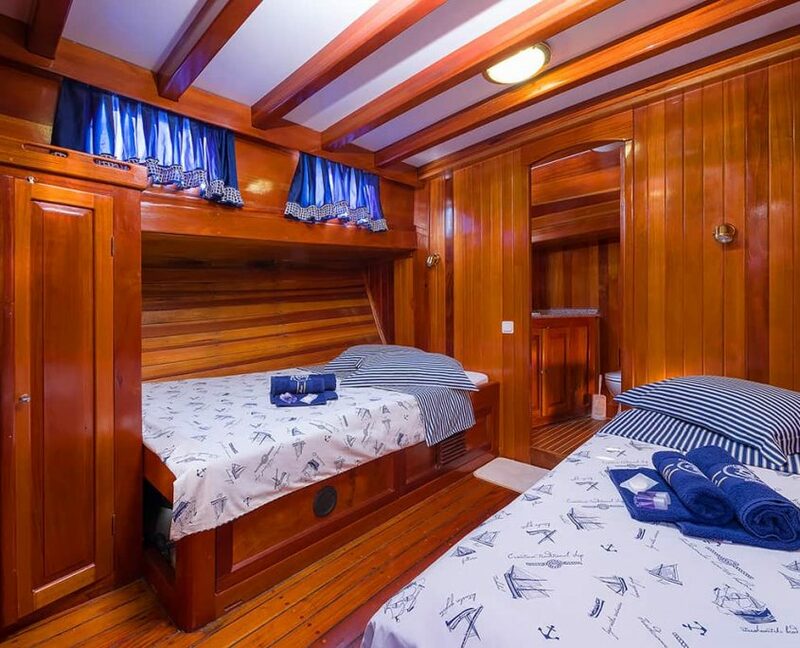 It’ is very recommended for families with children, because all four other cabins have extra bed. 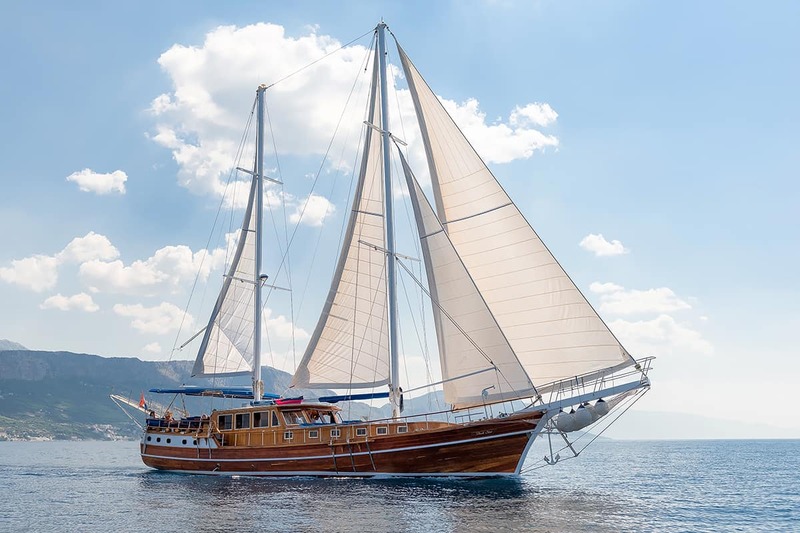 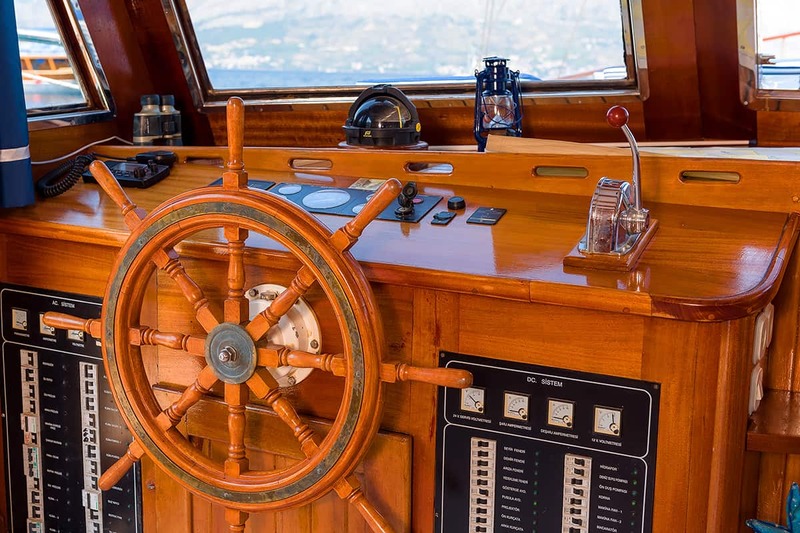 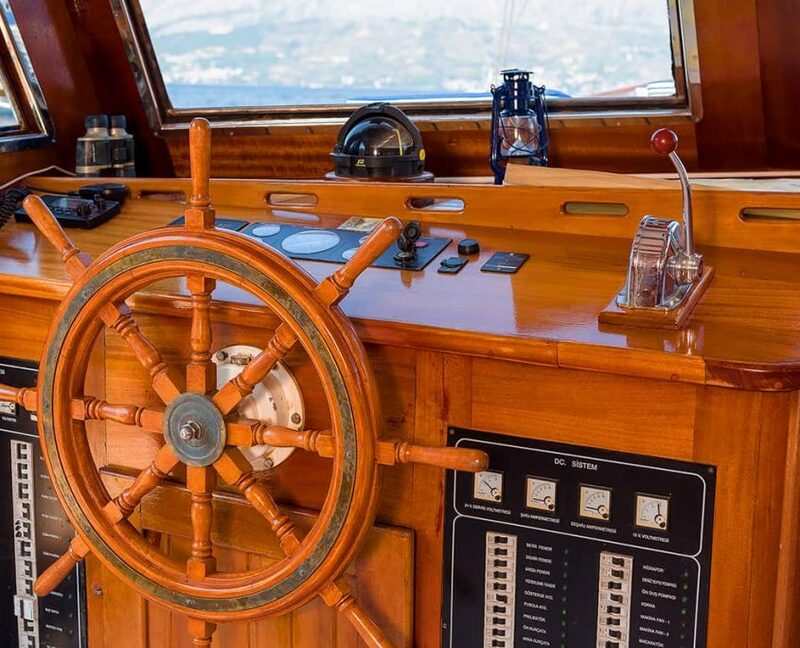 Captain will make sure you get the best services, perfect food and that gulet will be sparkling clean all the time during your cruise. 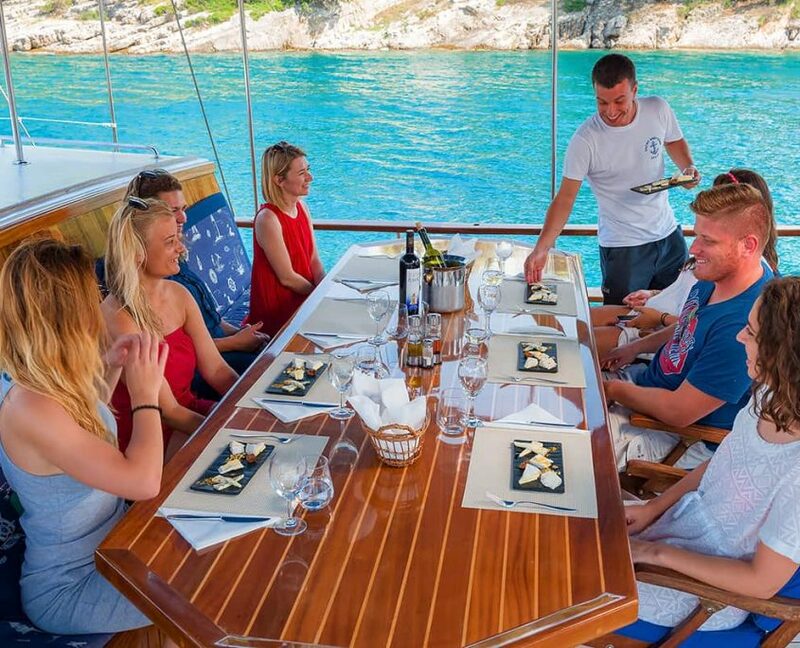 In summary everything is prepared for you to have the best possible time on board. 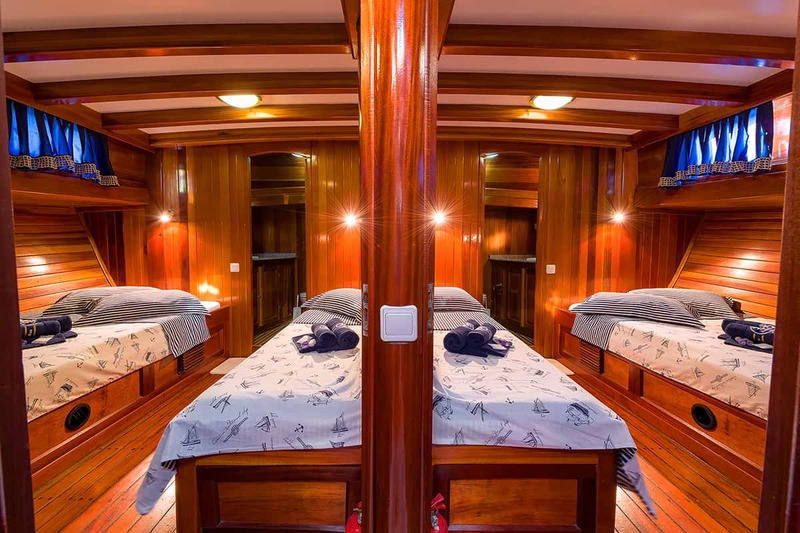 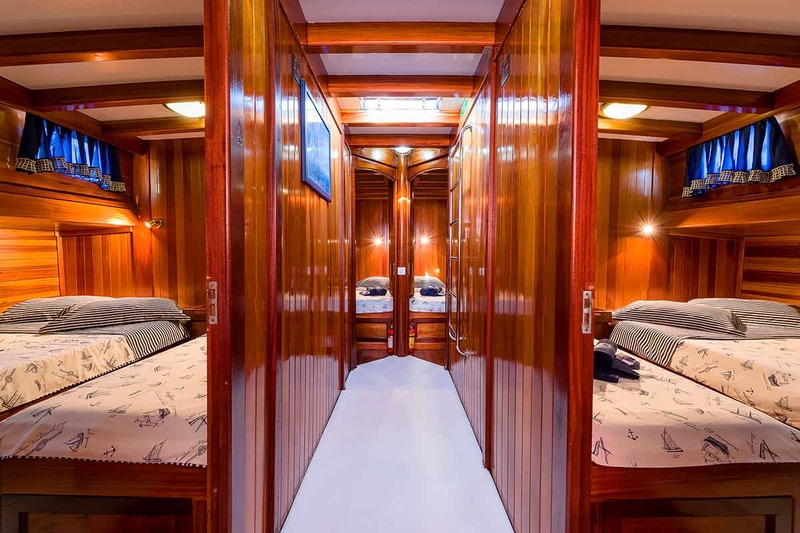 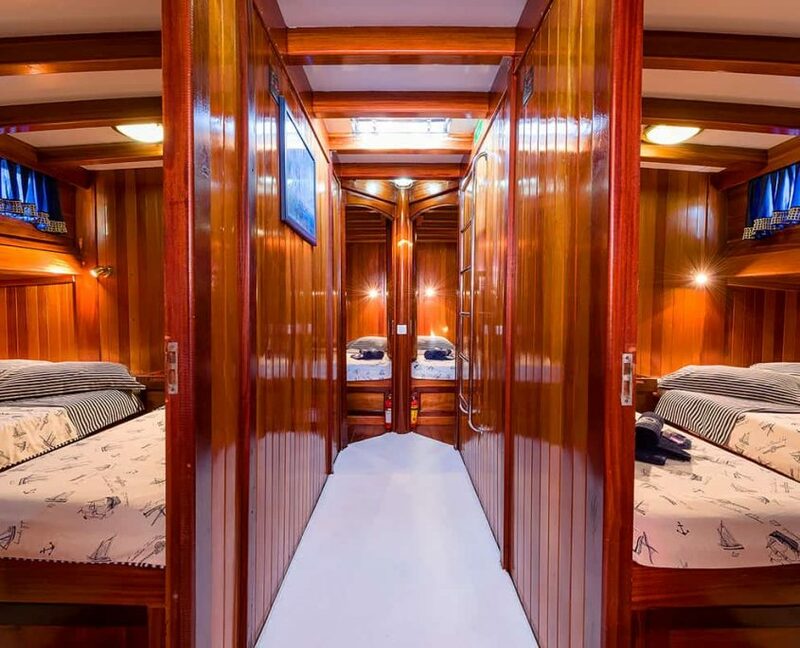 ACCOMMODATION for guests: 5 cabins (1 master, 4 double)! 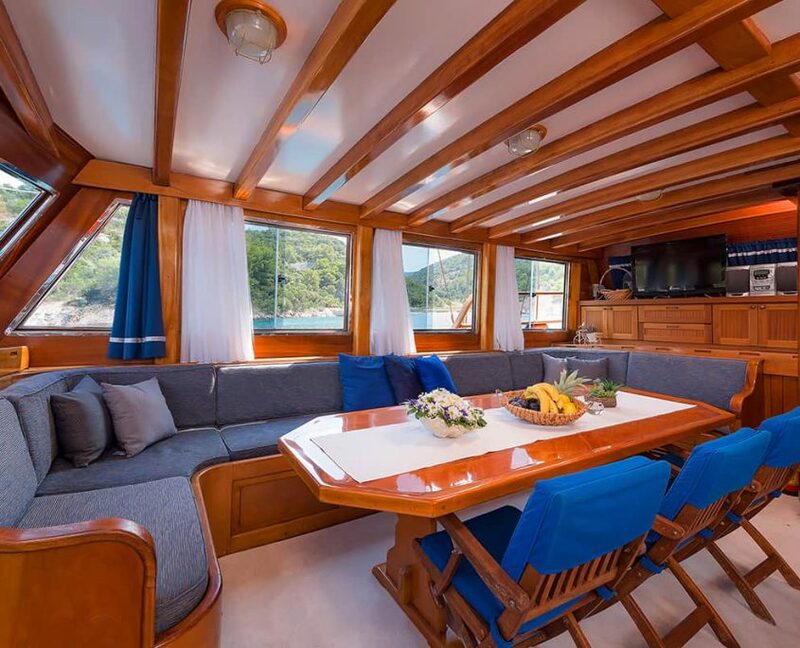 TV and DVDDigital normal LCD TV in salon with DVD player and home cinema. 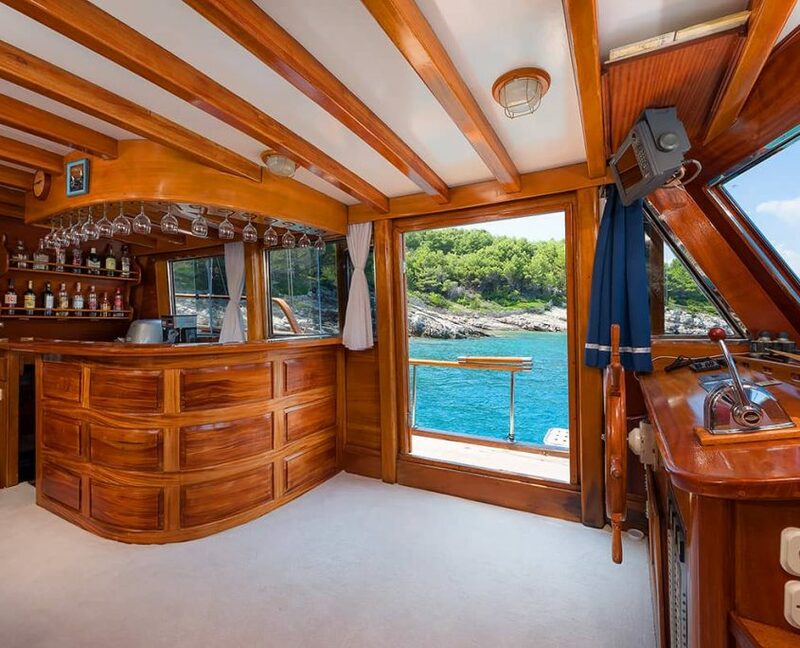 Music SystemMusic system-CD, MP3, USB and radio in salon and on the deck. 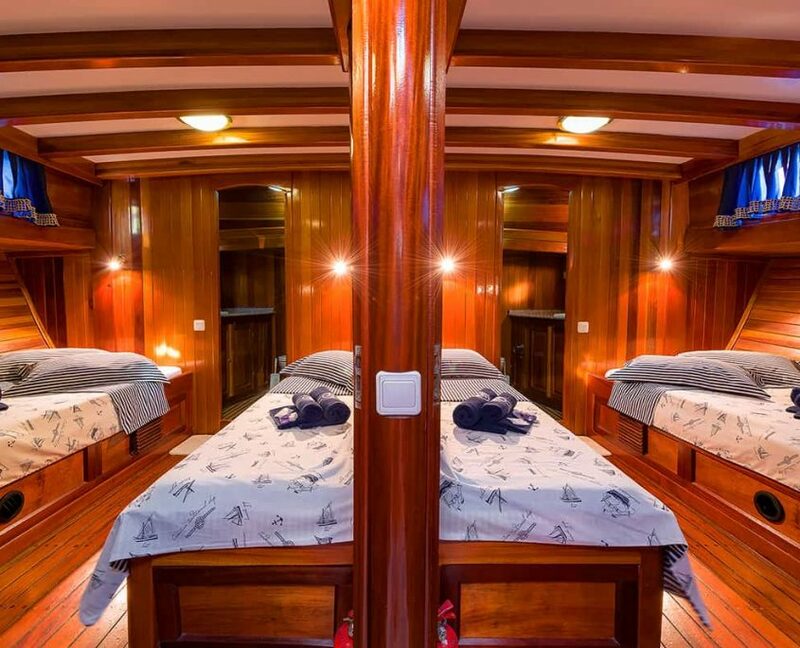 Social GamesCards, chess, monopoly and Play Station. 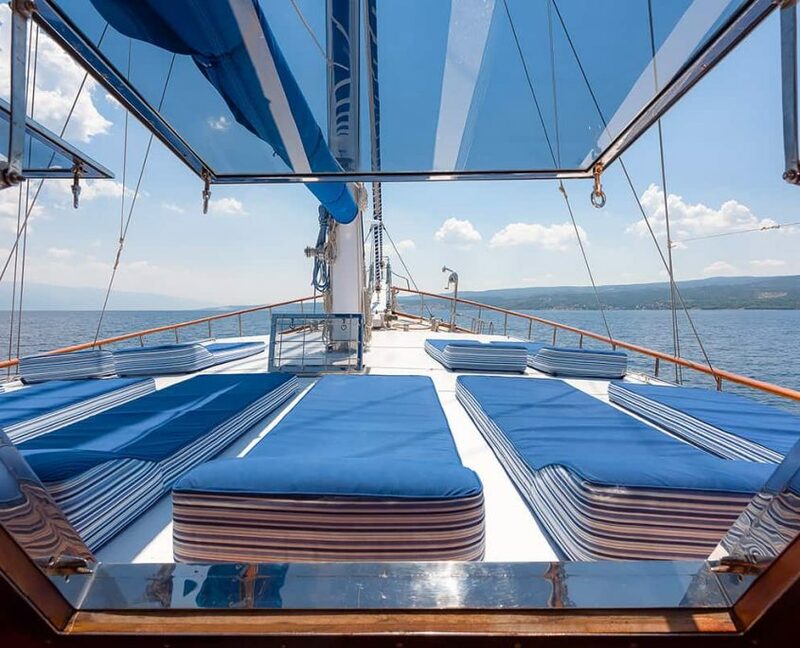 Masks, snorkels, ...Mainly all new equipment, 10 sets of masks/snorkels/flippers. 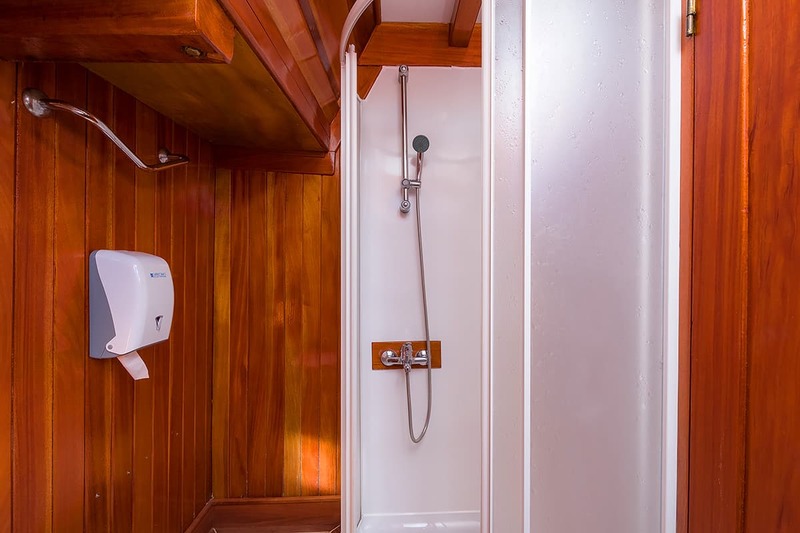 Water tank7000 l, once minimum refill in one week. 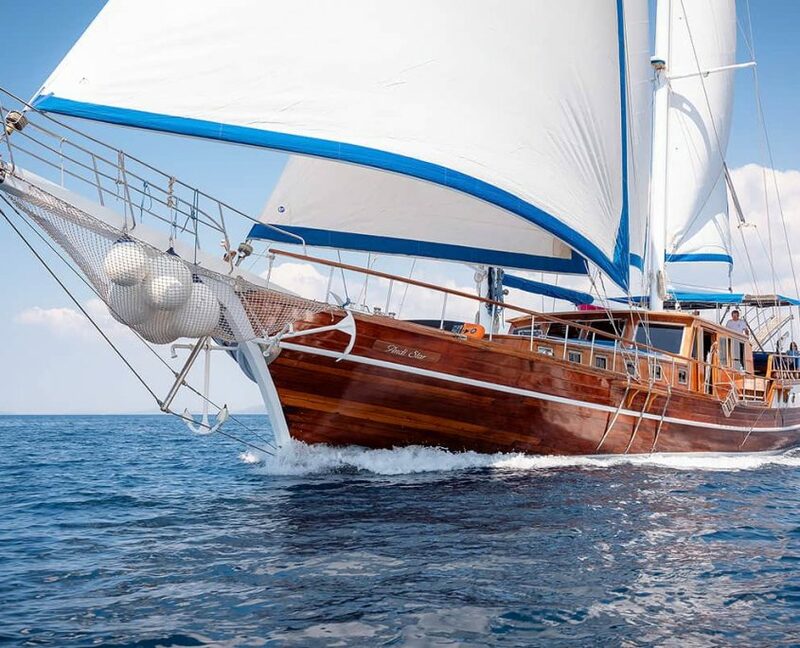 DinghyBWA 4.4mtr with outboard engine Honda 50bhp. 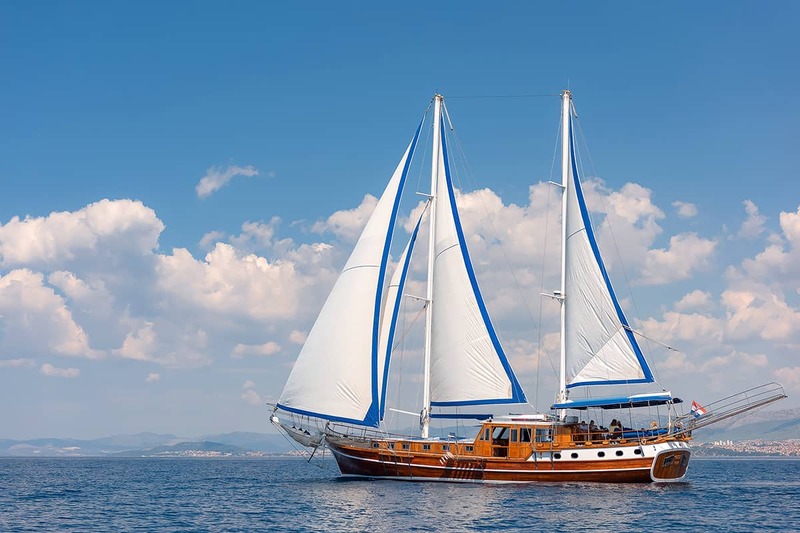 SailingYes; How often do you sail on weekly basis-whenever circumstances allow us to sail we enjoy sailing. 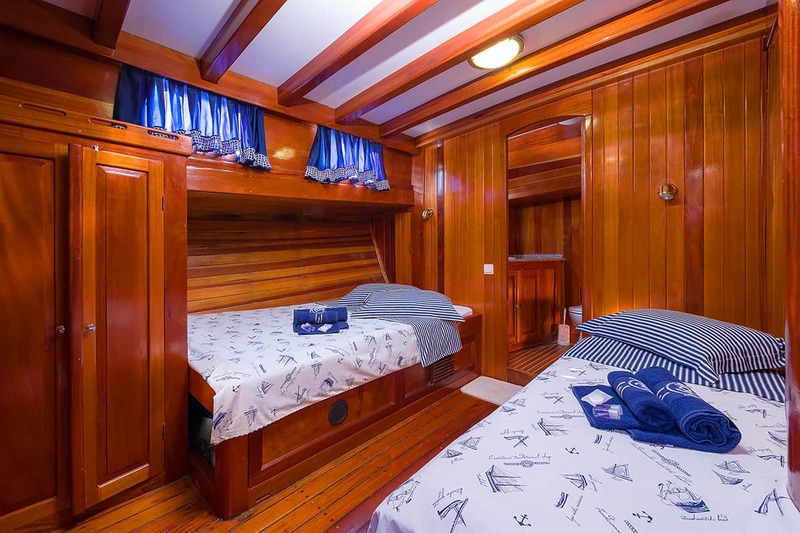 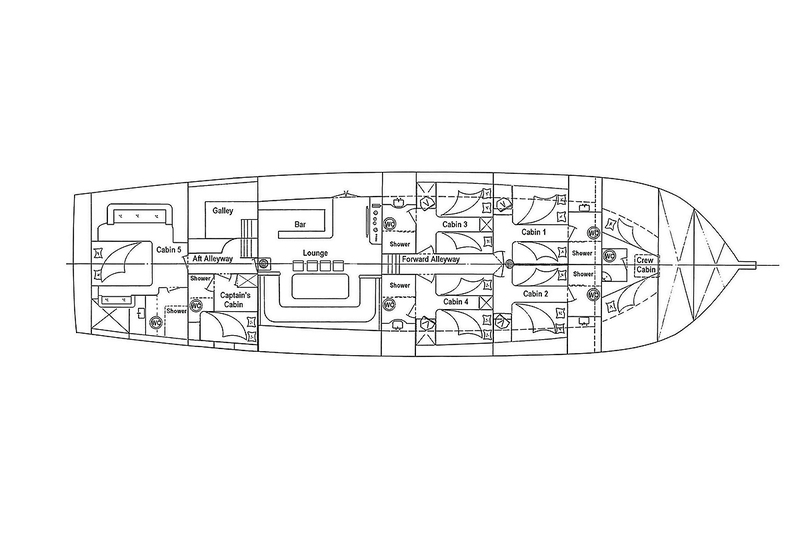 Cabins Specification4 cabins each with one double bed and one single bed,1 cabin Master suit with one double bed and one bunk bed. 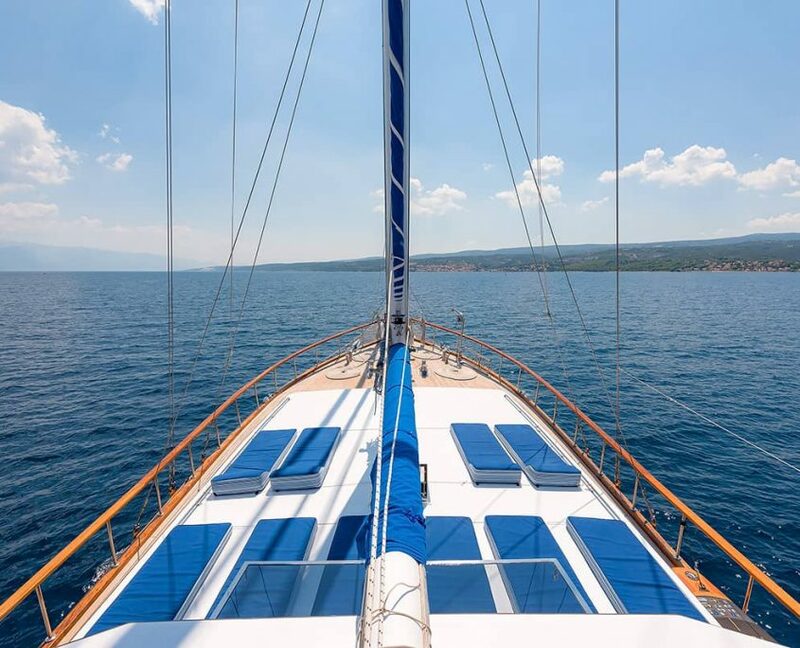 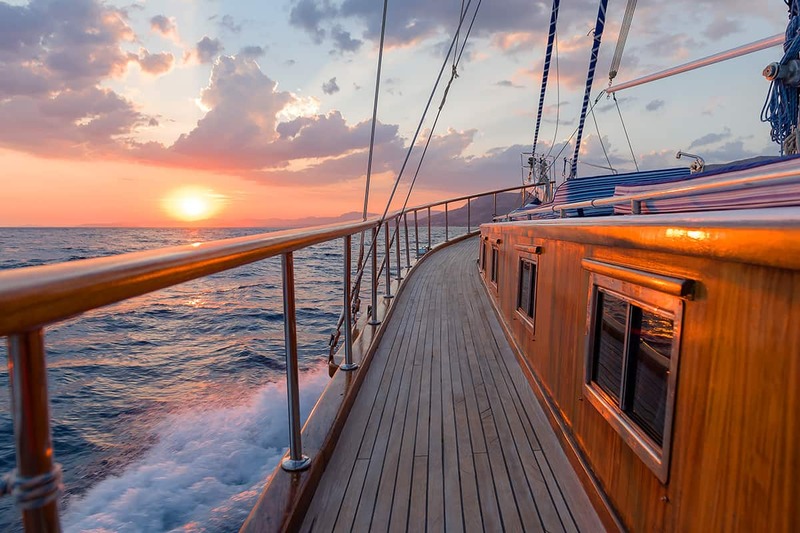 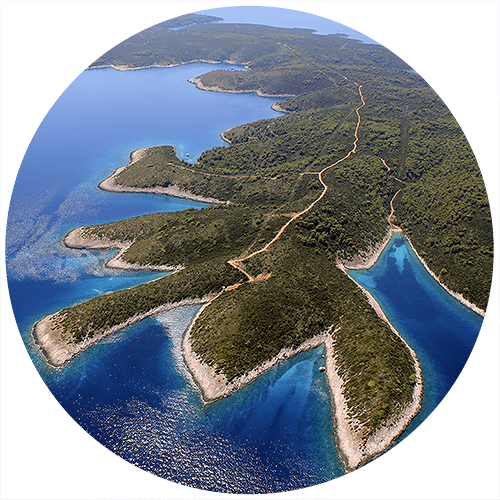 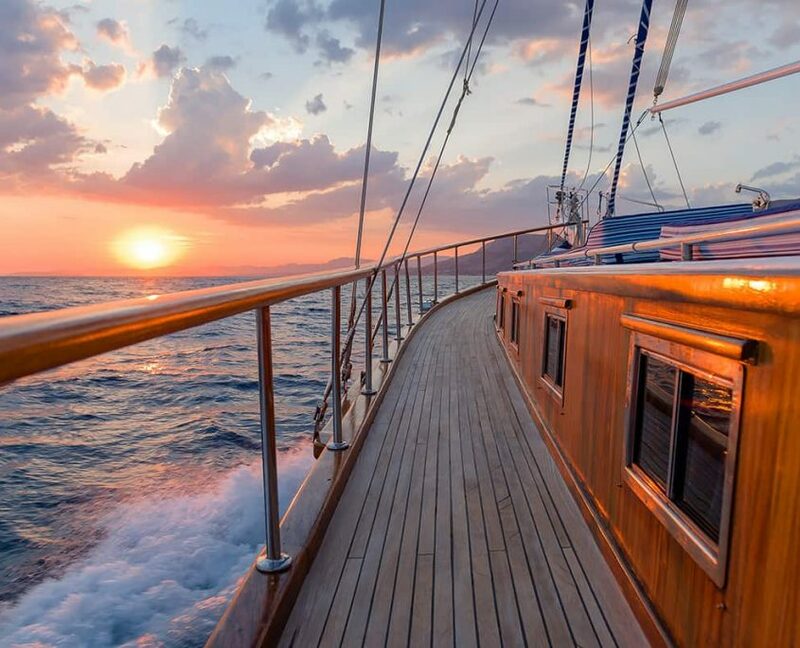 Air conditioningAll cabins with air conditioning/separate unit in each cabin; Air conditioning in use as required, only restriction could be in some peaceful bays and harbors, late evening/early morning, yachts not to disturb each other during hours of darkness-local regulation. 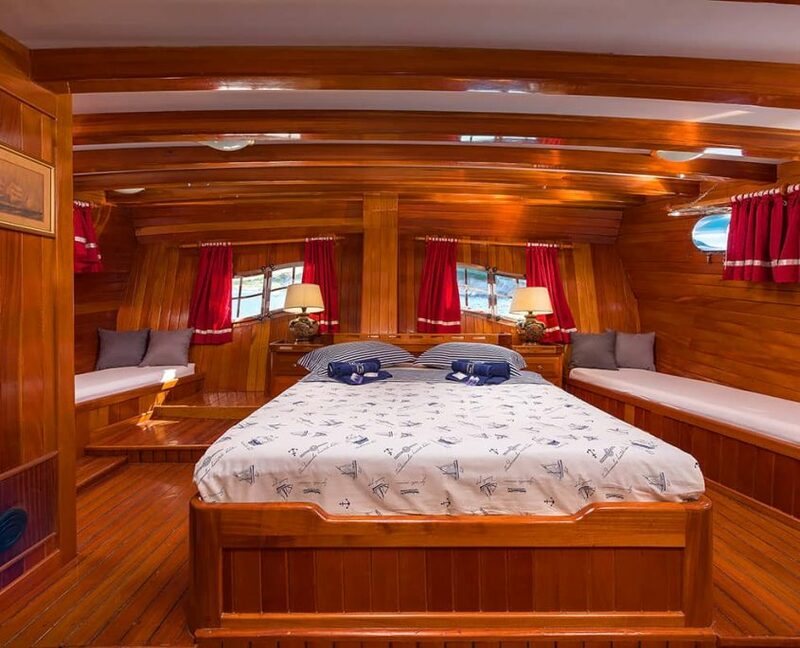 Cleaning of cabinsOn daily bases, deck, furniture, glasses/windows; change of bedding if necessary on request. 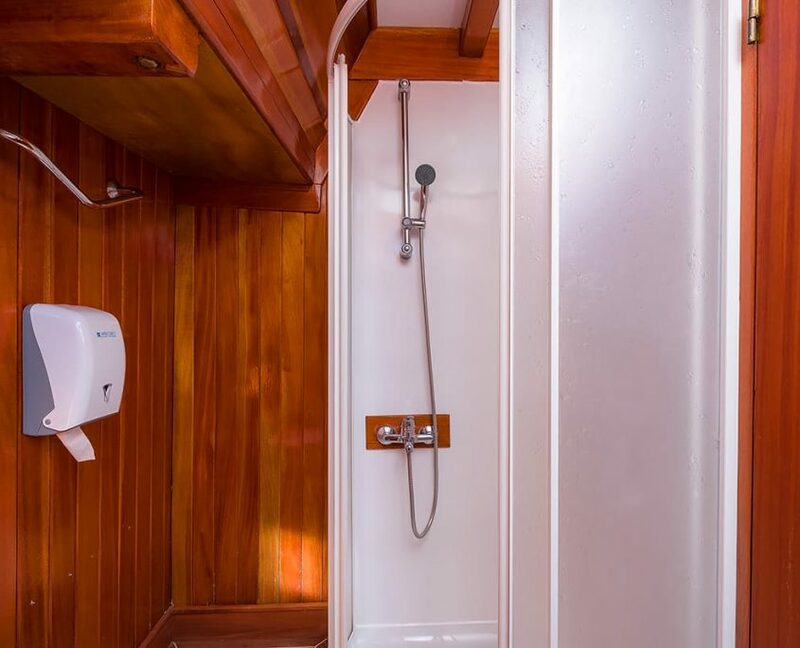 EssentialsToilet paper and hand washing liquid, hairdryer available in each cabin; 3 bath towels/3 face towels and 2 swimming /beach towels per person for week, towels also available on request . 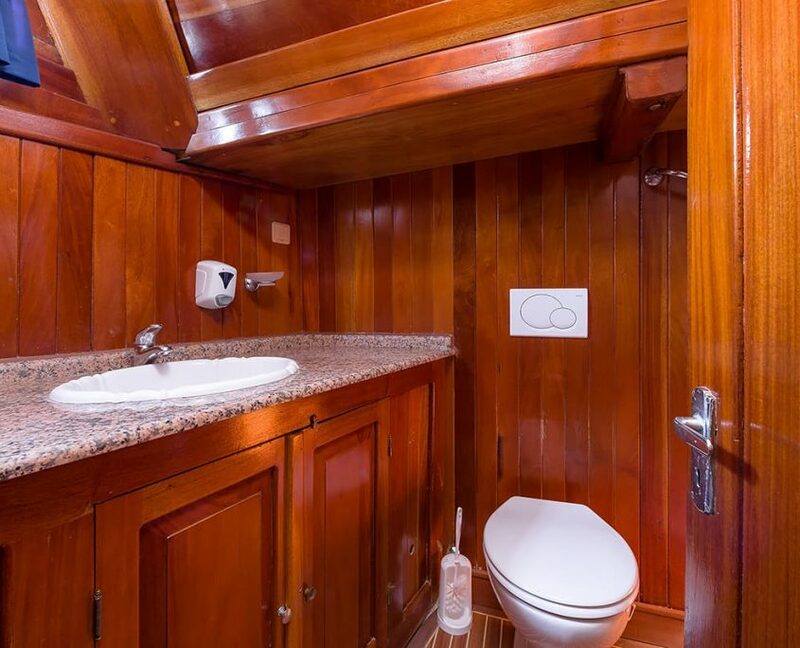 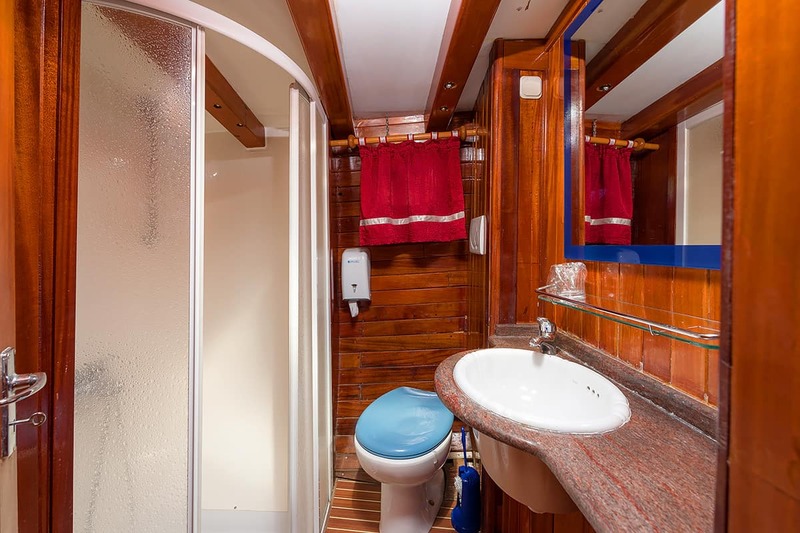 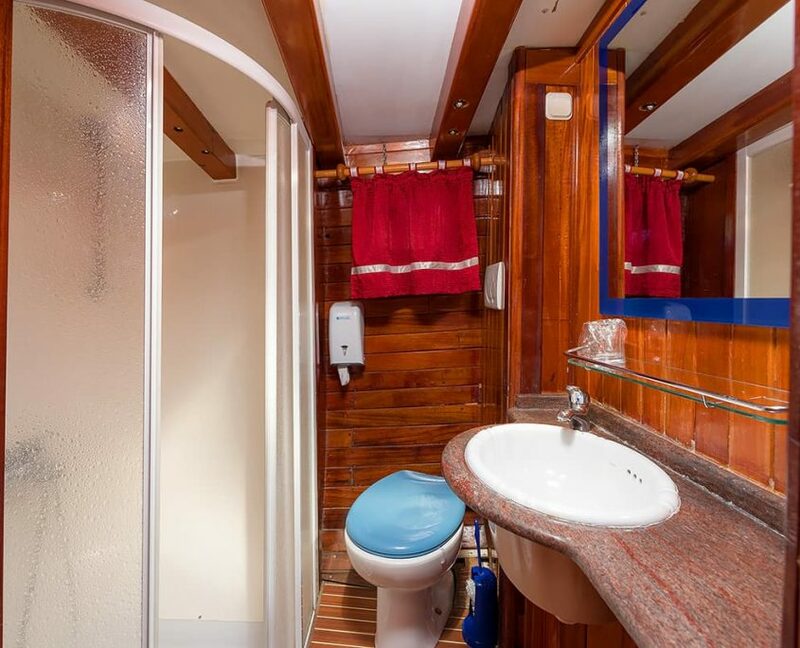 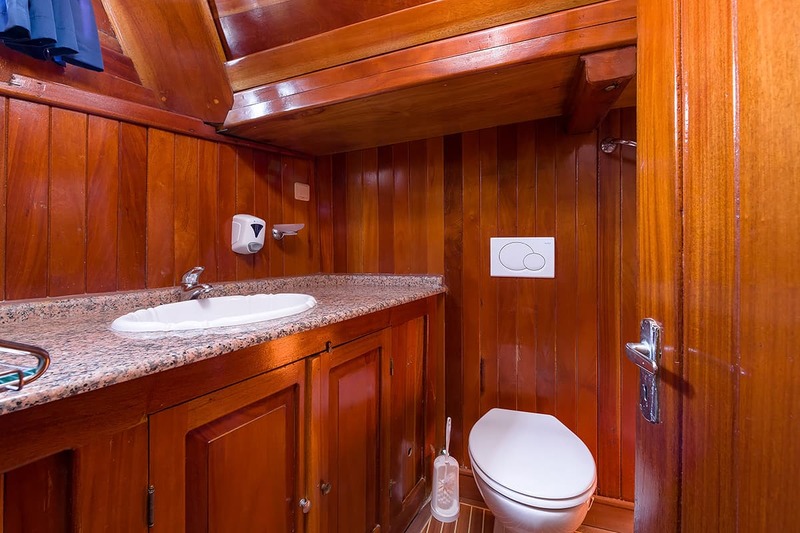 Cleaning of bathroomsOn daily bases: deck, sink/glass, shower cabin, toilet bowl and windows . 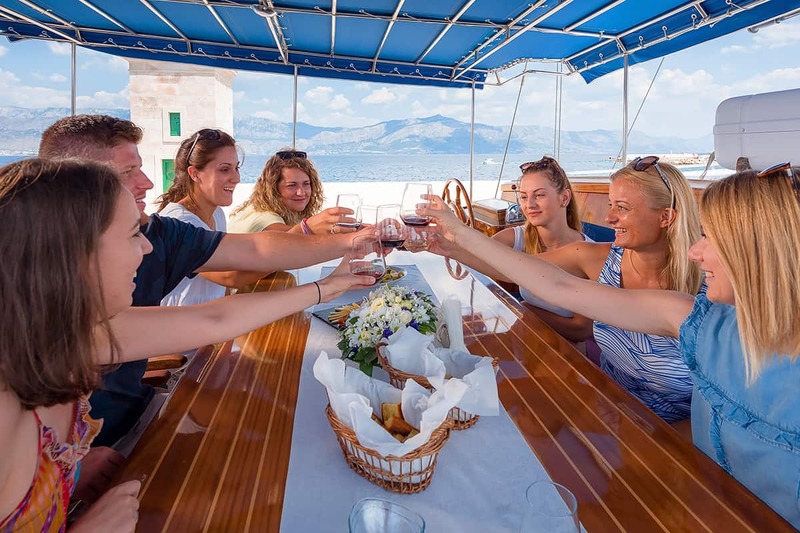 Food, beverages and port taxes are charged extra. 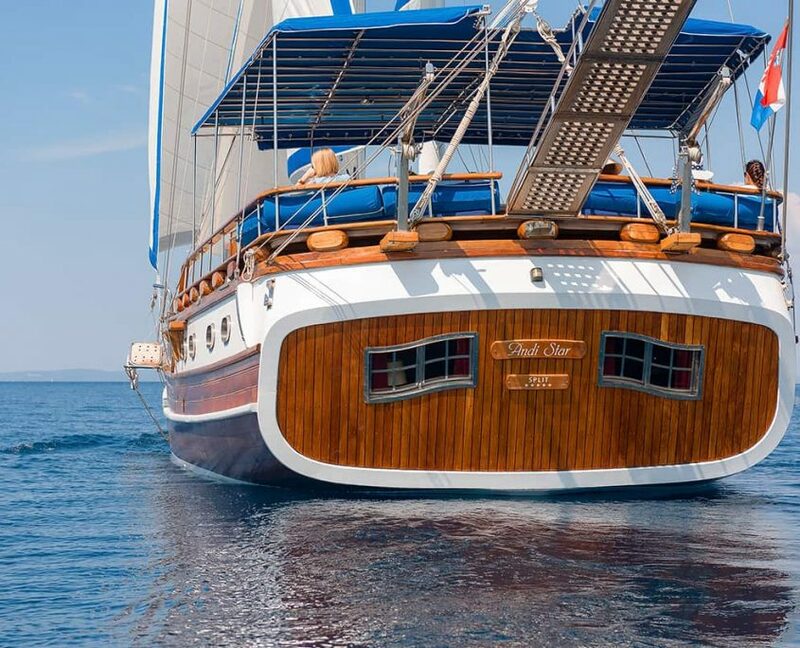 Port taxes are paid according to itinerary and usage, approximate cost for this is 400-600 €/week. 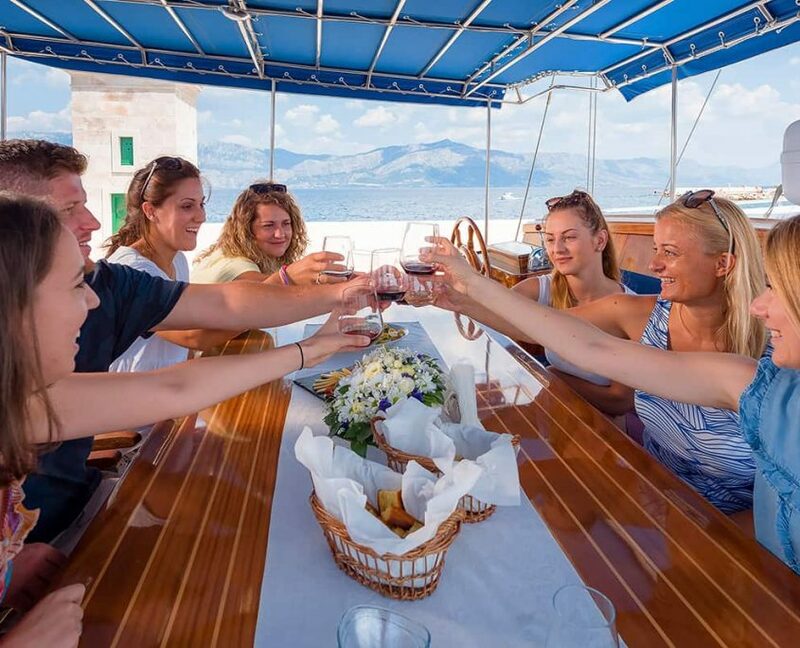 Before your departure, Your cruise assistant will arrange that all of your favourite drinks are waiting for you in yacht’s bar and the crew will get them and sell according to yacht’s bar price list. 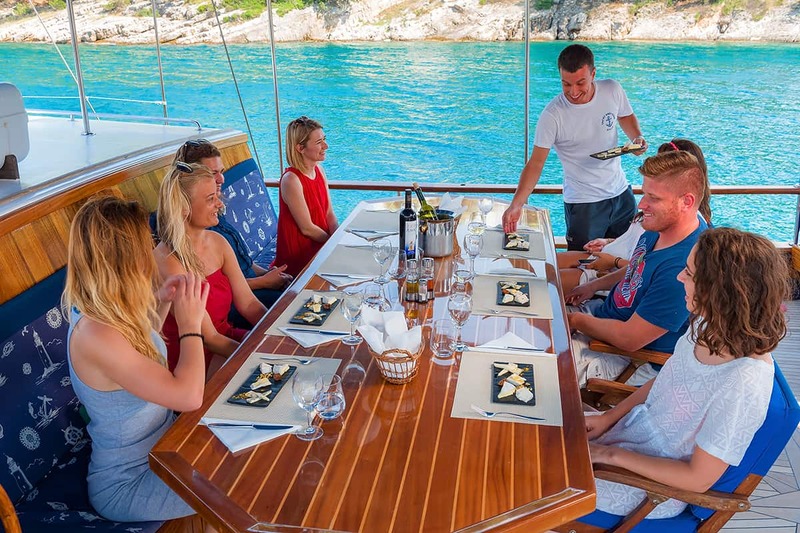 Chef: Master chef Severin Terzic that makes wonders in the kitchen, with previous experience in 5 star hotels in Dubrovnik and restaurants in Medjugorje.